The Canadian Armed Forces has conducted an investigation and committed to some unspecified "new direction" following allegations of detainee mistreatment by its U.S. Coast Guard partners in anti-drug smuggling operations. The Canadian Armed Forces has found no evidence of mistreatment of detainees by its U.S. Coast Guard partners during joint anti-smuggling operations on the high-seas following an internal investigation. In June, The Current's Kristin Nelson and The Investigative Fund's Seth Wessler investigated the CAF's involvement in the joint operation known as Operation Caribbe. Their documentary revealed that Canadian ships were involved in the interception of 38 alleged or convicted smugglers in the Pacific Ocean and Caribbean Sea, who were eventually locked up in the U.S.
Several of those detainees told The Current they were insufficiently fed, were not told where they would be taken and were not allowed to contact attorneys, family members or consulates. 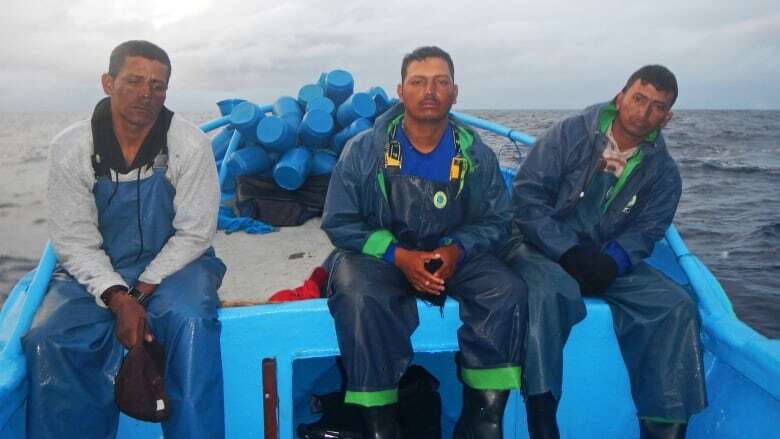 Their accounts were corroborated by members of the U.S. Coast Guard and forensic psychologist Cynthia Boyd, who interviewed several of the men and concluded that some exhibited symptoms of post-traumatic stress disorder. The Current's investigation followed a New York Times expose written by Wessler, which found that suspected smugglers were allegedly shackled by their ankles to the decks of ships and left there for weeks. Following publication of the allegations of mistreatment from detainees, a Canadian naval officer spent 20 days this summer aboard a U.S. Coast Guard boat to get a "first-hand view of how they conduct the operation." "We're quite confident — having done all of this work — that those allegations aren't founded, and in fact, the treatment of the detainees is quite perfectly reasonable, legal and ethical," said Rear-Admiral Brian Santarpia, chief of staff operations at the Canadian Joint Operations Command. Santarpia said they found no evidence of the alleged mistreatment that critics suggested may have violated international human rights obligations. Canada's navy examined the U.S. Coast Guard's overall treatment of detainees, but it couldn't say if it looked into specific allegations made by detainees who were interviewed for the joint investigative story. The full breadth of the CAF investigation will not be made public, as it was conducted "for internal purposes," Santarpia told The Current's Anna Maria Tremonti. Alex Neve, secretary general of Amnesty International Canada, said that is cause for concern. "I did not feel we received clear answers that give confidence that those allegations have been resolved." Santarpia said Canada's military took the allegations made in press reports "very seriously" and "began to work with the Coast Guard so that we could get a better view and a better understanding." Following the fact-finding mission aboard a U.S. Coast Guard ship, Santarpia questioned the testimony provided to the media by U.S. Coast Guard members whose names were kept confidential in the investigative reports. Statements given to The Current about detainee abuse were corroborated by multiple members of the U.S. Coast Guard. 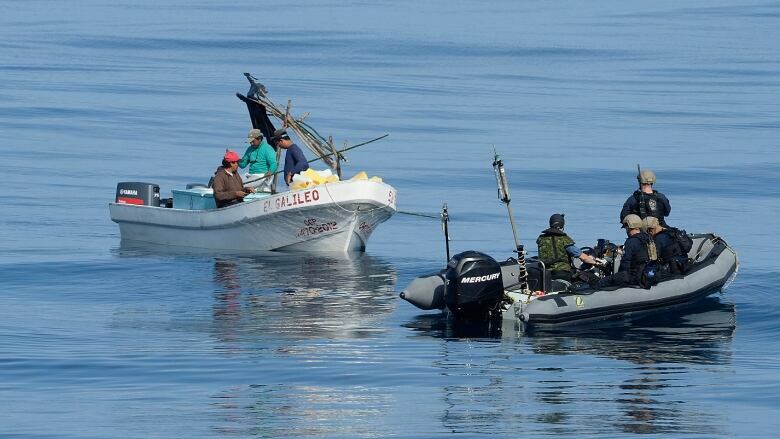 In a statement sent to the The Current after the documentary aired, Alana Miller, public affairs officer for the U.S. Coast Guard, said it "abides by all applicable international conventions related to the humane treatment of suspects on board our cutters." She added that the Coast Guard "maintains a memorandum of understanding with the CAF that is consistent with applicable international law." When questioned about reports from Alfredo Herrera-Villarreal, a detainee who described being shackled on board U.S. Coast Guard ships for 40 days, Santarpia replied that the military tries to transport them to the U.S. "as soon as [it is] practical," but that "it is not always possible to bring them in right away." He said that the CAF "issued some new direction to our commanding officers to make sure that they fully understand how long it's anticipated that these people will be at sea." That doesn't go far enough, according to Amnesty International's Alex Neve. "I think it is important to clarify that the concern isn't only about the length of time detainees are held on ships before they reach land and are transferred," says Neve, "it is more about the conditions under which they are held - whether that is for 48 hours or 48 days." Since 2010, 18 detainees were transferred onto Canadian vessels during five of 19 total expeditions, according to the CAF. These detainees were transferred into Canadian ships for short periods "just to make sure they were safe," Santarpia said. Canadians' roles on the missions are usually kept to accompanying Coast Guard vessels when suspected smugglers are "in danger at sea," he said. 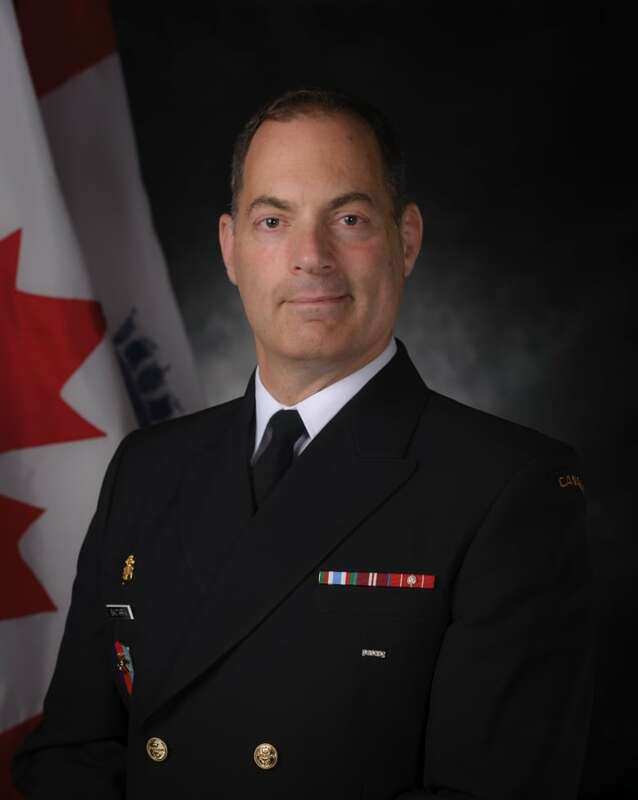 The Canadian military has not committed to a permanent monitoring role aboard U.S. Coast Guard vessels, but Santarpia said they will "periodically assure ourselves that we're still at the same high level of confidence we have today." Michael Byers, a professor of international law at the University of British Columbia, suggested that "the generals and admirals probably don't have influence over what happens on U.S. Coast Guard cutters when there isn't a Canadian observer on board, and they badly want to keep cooperating with the Americans in these operations." Last week, Canada was one of 130 countries to sign the the non-binding declaration, called the "Global Call to Action on the World Drug Problem," tabled by the U.S. at the United Nations. 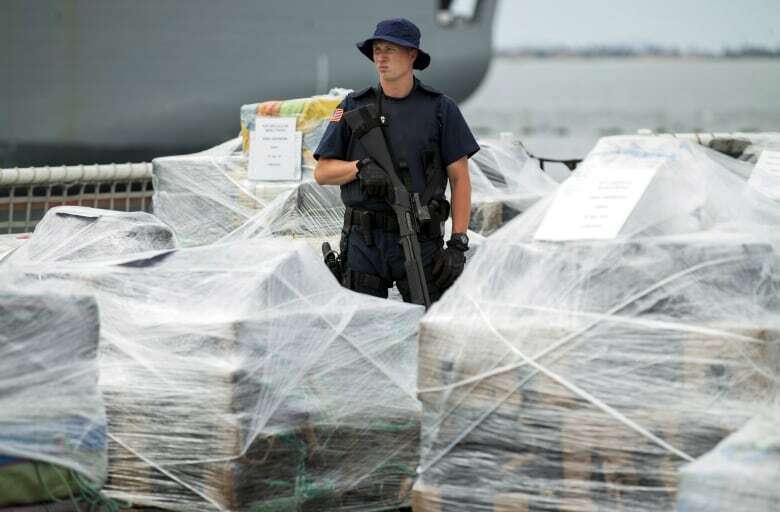 This means the joint anti-smuggling operations are set to continue on the high-seas. Canada's next deployment as part of Operation Caribbe is scheduled for later this month. Three naval vessels and two CP-140 Aurora aircraft are earmarked to be part of the deployment, according to the Canadian Forces' public affairs officer Capt. Valérie Lanouette. Produced by The Current's Kristin Nelson.